Thai girl Siripaporn Nuanthakhamjan is just unstoppable as she has won another world title for the year 2016. Last month in Sharm-el-Sheikh, she lifted the coveted IBSF World 6Reds Women Snooker trophy and now she has claimed 2016 IBSF World Under-18 Girls championship defeating her compatriot Nutcharat Wongharuthai 3-1 in the final played today at Mol, Belgium. Siripaporn stayed undefeated throughout the championship as she played total 8 matches and gave away one frame that too in the final only, else all her matches remained one sided. Today Nutcharat gave a good start and emerged quite strong in first frame that she won 68-35 but after that Siripaporn sealed remaining frames 57-23, 64-35 and 94-14 having a well-crafted break of 41 points to close the match proceedings. 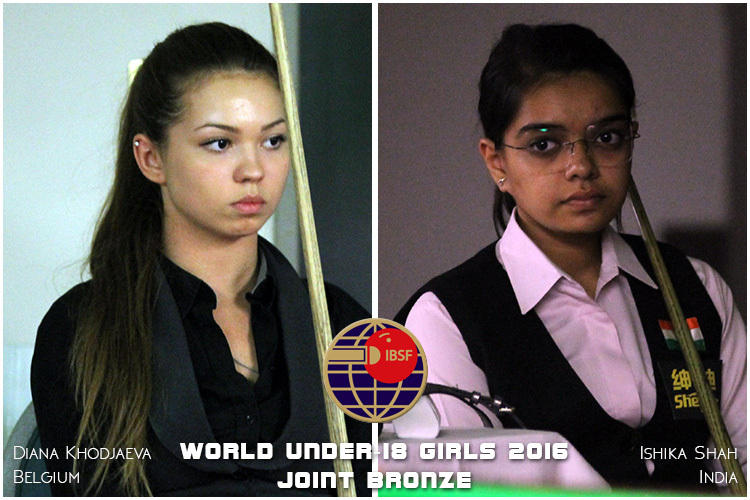 Being semi-finalists, Diana Khodjaeva of Belgium and Ishika Shah of India shared joint bronze.